Dainese Manis Protection: Man is it safe! Without a doubt, safety is Dainese’s prime objective and concern when designing motorcycle gear. Thankfully, comfort comes in at a close second, making the new Manis G back protector insert and jacket huge steps forward in impact protection. The name is derived from a scaly animal, also referred to as a pangolin, known for its hard overlapping armor which is strong enough to protect the animal from a full grown lion’s claws or teeth. Needless to say, the Dainese Manis G back protector shares its inspiration from the pangolin’s anatomy, which is incredibly effective in protecting the human spine. 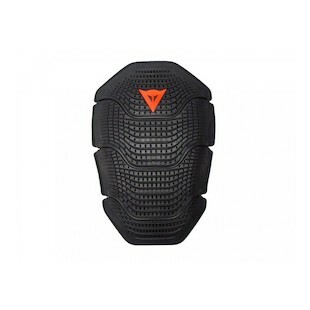 While Dainese has managed to implement Mother Nature’s technology into their new back protector, they were also able to make it incredibly flexible and comfortable, but rigid to avoid hyperextension. The Manis is made up of a series of overlapping plates, backed with a multiple density foam, all held together with a special lateral tensioner. I will admit, this sounds pretty boring, but the difference all of the tech makes from a comfort standpoint is remarkable. The Dainese Manis Jacket moves perfectly in every way you could want it to. Leaning to the front, back, side or while twisting, the protector stays snug against you. Upon impact, the plates interlock - dispersing the energy of the blow to the whole unit. Besides carrying a CE level 2 certification, the Manis is also thinner than the older Shield protector. They literally improved on everything! Other than the wearable version and jacket insert, Dainese also integrated the Dainese Manis into a wearable armored jacket. The Wave armored jacket is on closeout, so we have reason to believe that the Manis Jacket is the new replacement for it. If you are looking to stay armored up under your current jacket, or need some protection for off roading, this is the piece you need to consider. Overall, the Manis is a huge home run from Dainese. 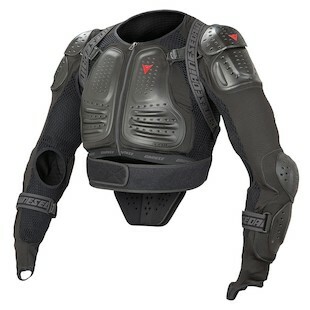 With all of the improvements we have seen in the back protector market, it was about time Dainese diverted from the traditional Wave and Shield models. Now that the Manis is in town, the decision on the best back protector has gotten a whole lot harder.